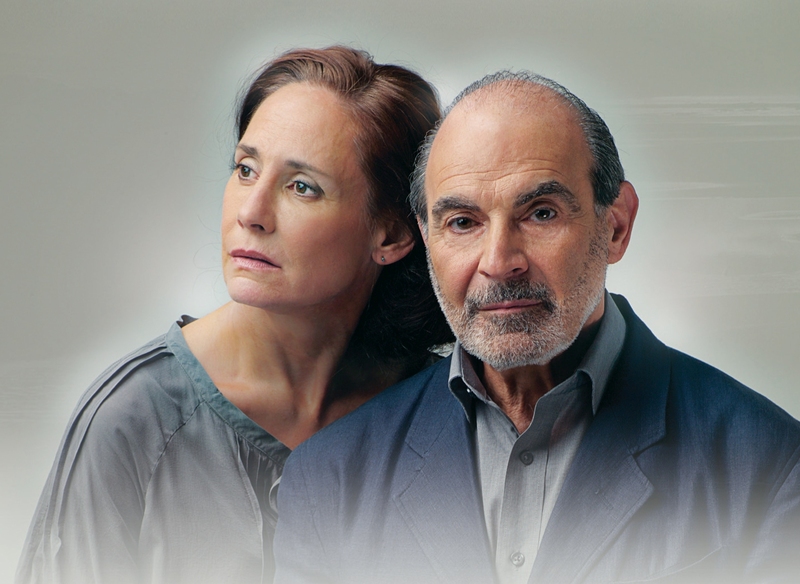 David Suchet returns to the stage in Eugene O’Neill’s Pulitzer prize-winning masterpiece, Long Day’s Journey Into Night, following his critically acclaimed performance in Arthur Miller’s All My Sons last year. Directed by award-winning director Anthony Page, Eugene O’Neill’s semi autobiographical play paints a powerful portrait of a family tormented by the past and paralysed by its own personal demons. Set in 1912, the story is a compelling family drama between James Tyrone (David Suchet), Mary Tyrone (Laurie Metcalf) and their sons, Jamie (Trevor White) and Edmund (Kyle Soller) during a long summer’s day. This multi-award winning play is one of the greatest American plays written in the twentieth century and arrives at the Theatre Royal Glasgow in March. David Suchet is one of Britain’s most respected actors on stage, screen and television. Best known for his role as the Belgian detective Hercule Poirot in Agatha Christie’s Poirot his other television work includes the award-winning BBC drama Maxwell for which he won Best Actor International Emmy Award in 2008, The Life of Freud, Victoria and Albert, Murder in Mind, Anthony Trollope’s The Way We Live Now (BAFTA nomination). Laurie Metcalf is widely known for her performance as Jackie Harris on the ABC sitcom Roseanne for which she is a 3 time Emmy Award Winner. Her other television work includes The Big Bang Theory, Desperate Housewives and Grey’s Anatomy. Long Day’s Journey Into Night is produced by Nica Burns Elliott Martin Kim Poster for Stanhope Productions Martin Giannini Max Cooper Robert G. Bartner/Norman Tulchin Charles Diamond and Max Weitzenhoffer.